مرحباً، أرغب بالاستعلام عن عقارك رقم بيوت - ROR-R-1373. أرجو منك الاتصال بي في أقرب وقت ممكن. Royal Realty is delighted to present the opportunity to rent this luxurious 3 bedroom apartment in the desired project Burj Vista, Downtown Dubai. The towers will be directly linked to the pedestrian link that connects the Dubai Metro station w/ Downtown Dubai. Other amenities include a fully-equipped gymnasium, childrens play areas, multimedia hall, business centre, play room, lounge areas, swimming pool and kids pool, badminton and half a basketball court, relaxing reading areas and lushly landscaped areas. or visit www. 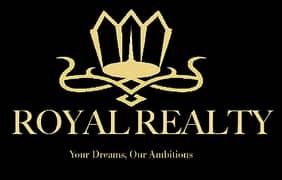 royalrealty. ae for further details.